The Powrtouch Evolution™ Auto caravan mover is one of our top selling caravan movers from PowrTouch. The Evolution delivers the latest developments in innovation but still represents excellent value for money and is backed by PowrTouch's five year no quibble guarantee. The Evolution is designed in the UK and features automatic roller engagement at the touch of a button, ultra efficient power train and a brand new state of the art four pole electric motor with increased functionality. Movements are controlled by a remote handset. 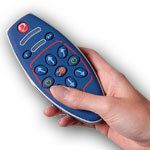 Simply press one of the buttons on the handset to move in any direction and even turn the caravan on its own axis. The caravan tyres are driven by lightweight aluminium rollers provide superb grip and durability. Fitting the Powrtouch Evolution to the caravan does NOT require any welding or drilling of the chassis making fitting quick and simple. The soft start feature allows the caravan to manoeuvre very accurately before full speed is achieved. Braking is completely automatic and occurs immediately the finger is removed from the selected button. In common with the whole Evolution caravan mover range the Evolution Auto boasts the FM Electronics System which includes variable speed control. The control system allows the mover to be driven at 100% speed, 75%, 50% or 25% - perfect for even more precise manouevring. Unique two button safety control to activate system. Automatic 20 minute cut off if unit is not in use. Easily transferred if caravan is upgraded. Compact design offering better ground clearance. Speed 28 cm per sec. Don't want to fit your PowrTouch Evolution caravan mover yourself? No problem, It can be fitted at your home by our professional fitters. 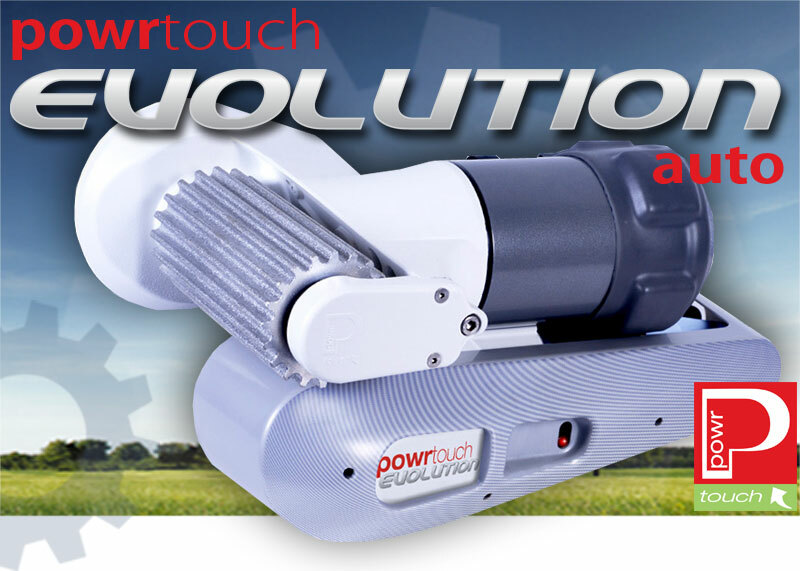 We offer a nationwide PowrTouch fitting service.